In spite of a multitude of lawsuits against the Delta Tunnels and the California Department of Water Resources (DWR) withdrawing the project’s “certification of consistency” with the Delta Plan developed by the Delta Stewardship Council, the California WaterFix proposal continues to plod forward. Jacobs (NYSE: JEC) has been selected by the Delta Conveyance Design and Construction Authority (DCA) for engineering design management (EDM) services related to the California WaterFixprogram. Estimated at $17 billionin 2017, WaterFix is California’slargest water conveyance project, designed to bolster the reliability of the state’s water supplies, while protecting and enhancing the San Francisco Bay-Delta estuary, a vital environmental asset. The California WaterFix program, slated to begin in early 2019, will upgrade outdated and unreliable water infrastructure that is more than 50 years old and dependent on levees that put clean water supply at risk from earthquakes and sea-level rise. Jacobs’ initial $93 millioncontract with DCA will support the preliminary and final engineering design phase of the 15-year program. Major infrastructure components include three water diversion intakes (3,000 cfs each) with state-of-the-art fish screens, two large tunnels (40-foot diameter and 35 miles long), two large pumping stations (4,500 cfs each) and miles of new roads and utility relocations. 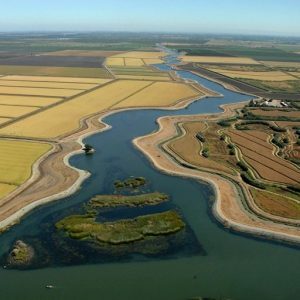 Following more than a decade of studies, WaterFix emerged as the most effective solution to address California’swater shortages while also improving environmental conditions in the Sacramento-San Joaquin Delta – such as reducing the harmful impacts of the existing infrastructure diversions near endangered fish habitats and reinstating more natural river flows. WaterFix also stands to generate nearly 122,000 jobs for the region and offer greater water security, enhanced disaster preparedness and climate change resilience for millions of Californiaresidents, businesses and agriculture that obtain their water from the Delta. Jacobs leads the global professional services sector delivering solutions for a more connected, sustainable world. With $15 billionin fiscal 2018 revenue and a talent force of more than 80,000, Jacobs provides a full spectrum of services including scientific, technical, professional and construction- and program-management for business, industrial, commercial, government and infrastructure sectors. For more information, visit www.jacobs.com, and connect with Jacobs on LinkedIn, Twitter, Facebookand Instagram. Statements made in this release that are not based on historical fact are forward-looking statements. We base these forward-looking statements on management’s current estimates and expectations as well as currently available competitive, financial and economic data. Forward-looking statements, however, are inherently uncertain. There are a variety of factors that could cause business results to differ materially from our forward-looking statements. For a description of some of the factors which may occur that could cause actual results to differ from our forward-looking statements please refer to our Form 10-K for the fiscal year ended September 28, 2018, and in particular the discussions contained under Items 1 – Business, 1A – Risk Factors, 3 – Legal Proceedings, and 7 – Management’s Discussion and Analysis of Financial Condition and Results of Operations. We do not undertake to update any forward-looking statements made herein. For those not familiar with the project, the California WaterFix is a proposal to build two massive 35-mile long tunnels under the Sacramento-San Joaquin River Delta to facilitate the export of Delta water to corporate agribusiness interests and Southern California water agencies. In spite of the claim made in the release that the “WaterFix emerged as the most effective solution to address California’s water shortages while also improving environmental conditions in the Sacramento-San Joaquin Delta,” the project would actually hasten the extinction of Sacramento River winter and spring-run Chinook salmon, Central Valley steelhead, Delta and longfin smelt, green sturgeon and other fish species. The project would also imperil the salmon and steelhead populations on the Trinity and Klamath rivers by exporting increasing amounts of water via the existing pipeline through the Trinity Mountains from Lewiston/Trinity Reservoirs to Whiskeytown Reservoir, which empties into Clear Creek, a tributary of the Sacramento River. As the Delta Conveyance Design and Construction Authority (DCA) continues to forge ahead with the California WaterFix even though the project hasn’t been approved by the State Water Resources Control Board or the Delta Stewardship Council as part of the Delta Plan, populations of Delta smelt and other pelagic (open water) fish species in the Delta continue to collapse. Bill Jennings, Executive Director of the California Sportfishing Protection Alliance (CSPA) and board member of the California Water Impact Network (C-WIN), points out the significance of the disastrous decline of Delta smelt and other fish species in the 2018 Fall Midwater Trawl by the California Department of Fish and Wildlife (CDFW). Instead of “improving environmental conditions in the Sacramento-San Joaquin Delta” as Jacobs claims the Delta Tunnels will do, the California Water Fix will remove more water from the Sacramento River before it flows through the Delta Estuary in order to facilitate water exports to corporate agribusiness and Southern California water agencies, making the already perilous state of Delta smelt, winter and spring-run Chinook salmon and other fish species even worse.